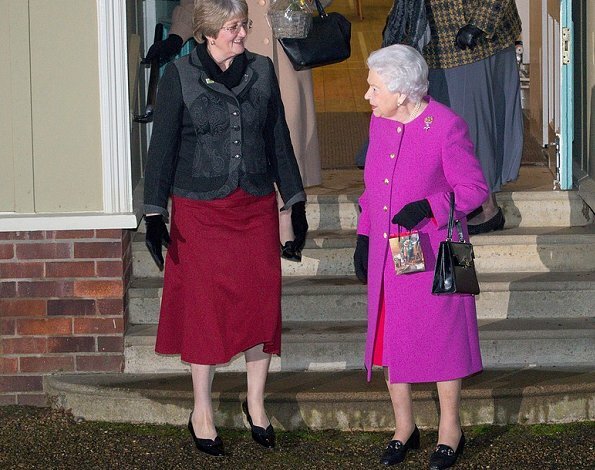 Queen Elizabeth attends a meeting of the Sandringham branch of the Women's Institute at the West Newton Village Hall on January 19, 2017 in near King's Lynn, England. Glad and relieved that she is well again and has resumed her official schedule. Although I hope she keeps it light during the cold winter months and resumes her old schedule (if she feels up to it) in the Spring. In this constantly changing world, both good and bad, she is a pillar of continuity and stability. HM looks amazing. Isn't it cute that she seems to have received a little gift bag! Somehow she appears a bit more down to earth and more approachable without a hat, and is giving such a warm smile to her subjects. 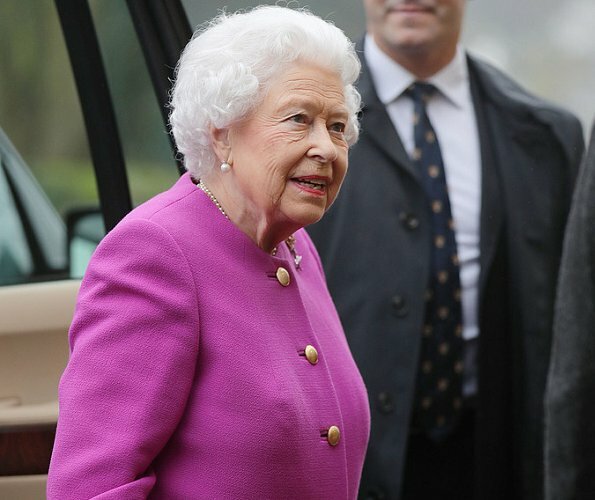 Nice to see her out and about. 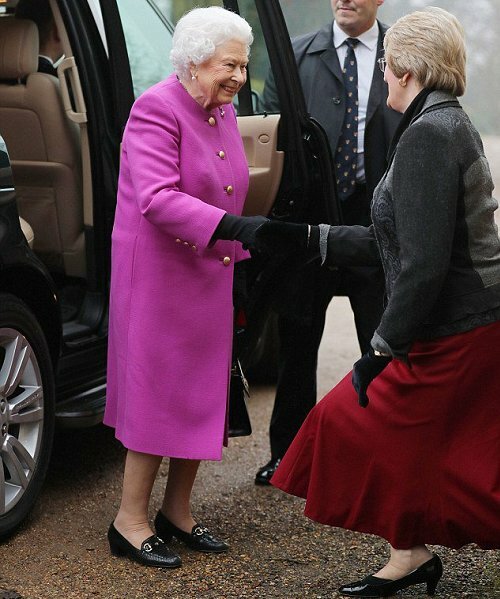 Don't know many women who can carry off as many block vibrant colours as HM. So pleased she's feeling better and carrying out a few of her duties.